We a pop fusion funk band called Hush Crush and this show has been booked with neon body painters, videographers... but our keyboard player just got a bad injury. Mix of original and cover material, sheet music can be provided for all. 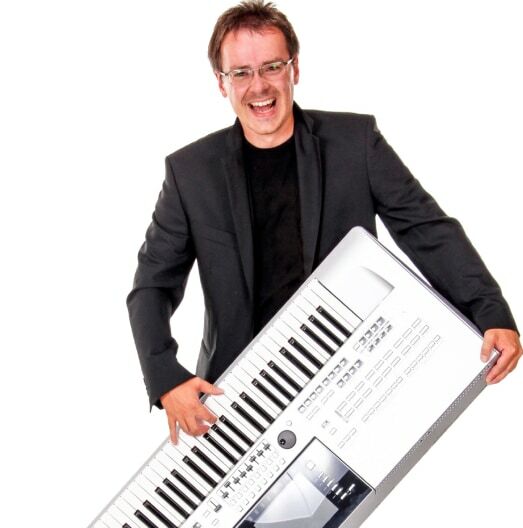 Professional weighted Yamaha keyboard also provided, if needed. What would you charge to join us for the evening? It is a free event, meant to be promotional so we are out of pocket for expenses. Thanks! Keyboard players are a perfect choice for events of all types from corporate and community events, to birthday parties and weddings. They can provide a variety of sounds and styles of music. Electronic keyboards can synthesize unique sounds and multiple instruments, making it a great substitute for a full sized band. Keyboard players can provide a similar service as a piano player, but offer the convenience of portability that you can't get with a baby grand or upright piano. Search for Keyboard Players in San Francisco, California above.